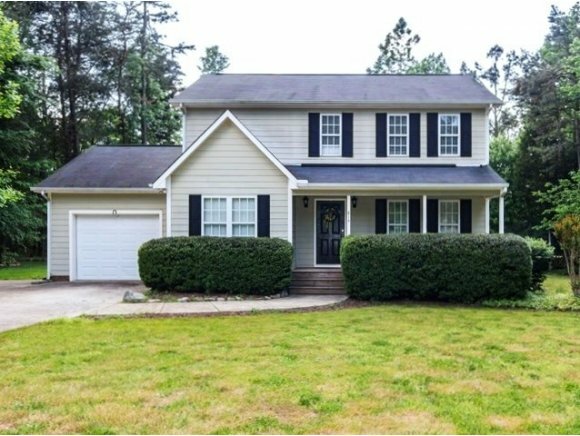 Attractive 2 Story Home in a Quiet Community Convenient to I85/40. Home features a number of updates including new Heat Exchange, New Kitchen Flooring, Microwave and Sink, New Well Pump, New Back Door to Deck. Spacious Family w/Gas Log FP, Dining Room Currently used as office, Hardwoods in Hallways, Entry and Steps, 2 Walkin Closets in Master, Wonderful Workshop w/HVAC & Sep. Storage Bld. and Play House/swings. Great Garden area and Flowers galore!